The high-performance R member of Volkswagen’s acclaimed Golf family will be arriving at US dealerships in the first quarter of 2015, but those who want to guarantee ownership will get a chance to do so in less than two weeks from now. 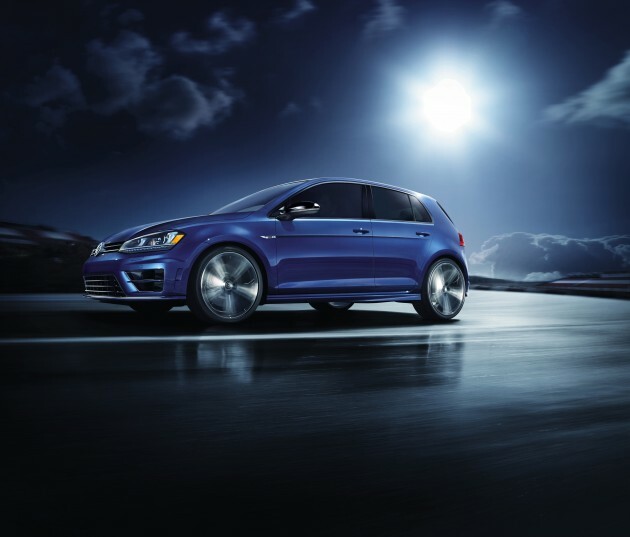 The 2015 VW Golf R pre-order will begin on January 8th, with 500 initial models available for pre-ordering (once all of the first 500 are spoken for, a waiting list for the car will open up). The first 500 Golf R owners will be receiving a top-of-the-line Golf R with DCC adaptive damping system and built-in navigation. All models will be powered by the 292 hp, 2.0-liter four-cylinder engine, painted Lapiz Blue Metallic, and come with a starting price of $39,910. When the VW Golf R first goes on sale in America, it will only be available in four-door form and with the DSG dual-clutch automatic transmission. The first 500 Golf R owners will also be receiving a special Volkswagen Driver Gear R accessory kit, which includes a serialized, VIN-specific certificate and a serialized Volkswagen R watch and keychain. There is a fully-refundable $500 reservation fee for those taking part in the 2015 VW Golf R pre-order, which is applied to the purchase price of the vehicle.